Alive Downham Leisure01366 386868work Leisure CentreGym - our gym offers an individual approach to your health and fitness routine, focused on helping you achieve your personal goals and progression. Swimming - our excellent pools are a great place to dive in, keep fit, relax, keep the kids amused or learn to swim with our qualified instructors. Classes - Our classes offer a fun and active way to improve and maintain your fitness levels. 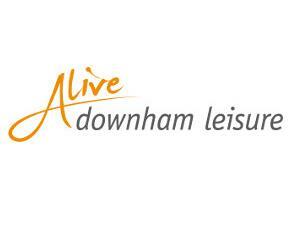 Activities for all ages and abilities are on offer at Alive Downham Leisure. Facilities - Alive Downham Leisure can host pool and a variety of sports birthday parties. By Car - Please use our postcode PE38 9LL for your satnav. Directions can be obtained through google maps (above). There is free parking on site, including disabled bays. By Train - The Centre is approximately a 20 minute walk from the train station. Turn left out of the station car park onto Railway Road, Continue on this road, which merges into Bridge Street. At the clock which is on the market place take a left on to the high street. Once you reach the cross roads, go straight over on to Bexwell Road. Keep walking and the centre is on the left (next to the high school). For train times visit Thameslink. By Bus - For bus time tables and routes please visit First, Stagecoach or National Express. By Bicycle - There are bike racks available directly outside the centre with a sheltered rack available in the car park.